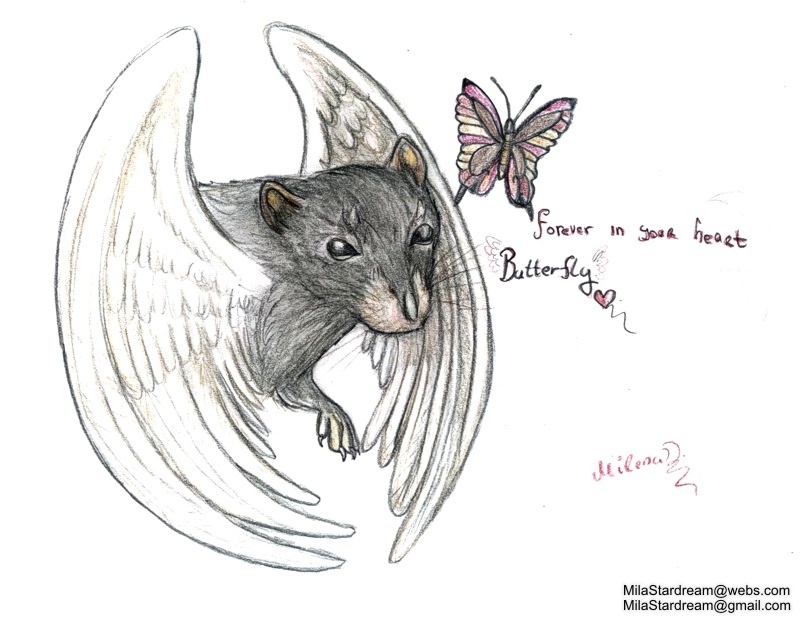 I drew this for my friend when her beloved rat Butterfly passed away. She loved it so much she actually had the picture at her wedding, since I couldn't attend. It was probably the sweetest gesture anyone has ever done for me. Such a lovely thought.